Physician assistants provide a variety of services including taking medical histories and performing physical examinations, ordering and interpreting lab tests, prescribing medications, assisting in surgery and counseling patients. Because of their close working relationship with physicians, physician assistants are educated in the medical model designed to complement physician training. Upon graduation, physician assistants take a national certification examination developed by the National Commission on Certification of Physician Assistants (NCCPA). 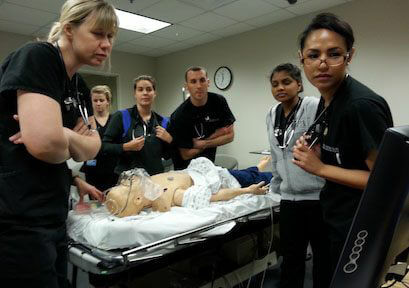 The Department of Physician Assistant Studies at A.T. 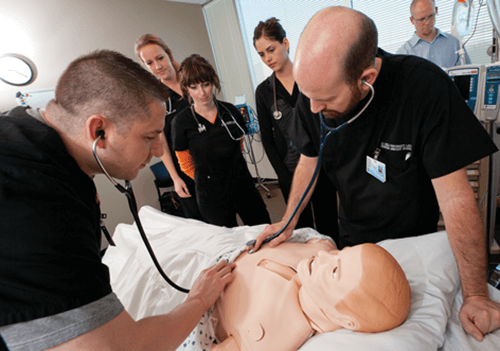 Still University of Health Sciences (ATSU) in Mesa, Ariz. prepares highly competent professionals in the art and science of medicine steeped in the osteopathic tradition of body-mind-spirit care for the whole person and service to underserved populations. From their first day, ATSU PA students are immersed in engaged scholarship threading the philosophy of whole person healthcare and serving the underserved through classes and activities. 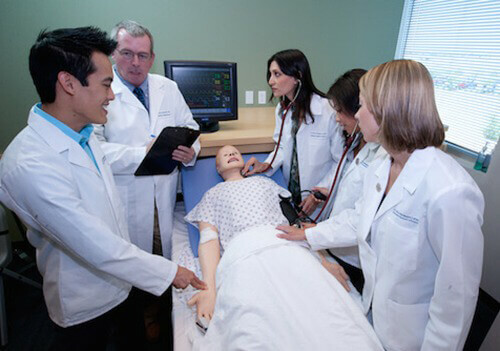 Award winning faculty, adjuncts, and instructors provide leadership, guidance, and supervision to PA students in all phases of their education with the time honored medical education traditions of mentored Experience, Example, and Excellence. Every PA student receives certification as a trainer and conducts the national award winning, evidence-based, falls prevention program, Still Standing: A Matter of Balance™, which is delivered in teams in a variety of community based settings throughout the Greater Phoenix area. 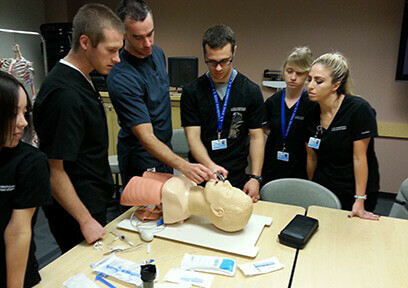 In addition, every PA student provides transitional care education to real patients via The ATSU Heart Failure prevention project, which is delivered in patient homes working in interdisciplinary teams. 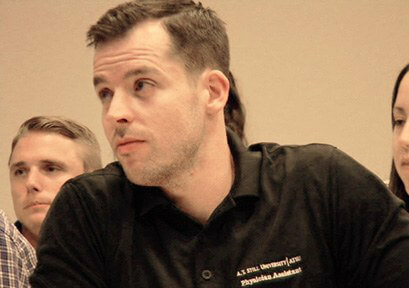 ATSU-ASHS’ physician assistant programs are always looking for new, highly qualified, high-quality training sites. If you know of a facility interested in providing rotation or internship positions for physician assistants, please contact the Director of Clinical Education, Kim DeVore, at 480.219.6142. Arizona State Association of Physician Assistants annual conference and the American Academy of Physician Assistants Annual Conference. In 2015, PA faculty spoke at the World Symposium of the American Academy of Developmental Medicine and Dentistry and the Western Regional Dental Convention. 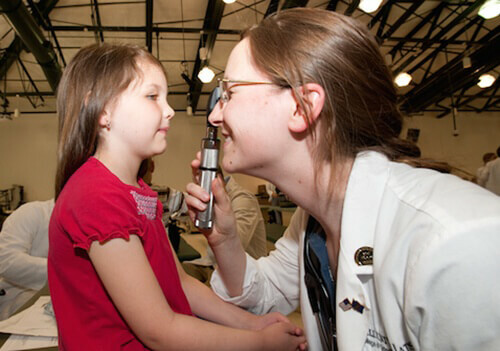 They bring clinical expertise from many areas of medicine, including family practice, primary care, remote and rural practice, emergency/trauma, sports medicine, allergy/immunology, gastroenterology, surgery, and otolaryngology to enrich each learner’s experience. This gives students the opportunity to gain knowledge from people who have real hands-on experience and learn the skills to effectively communicate that knowledge. Curricula are meticulously constructed to address real-world conditions with the most current approaches available. 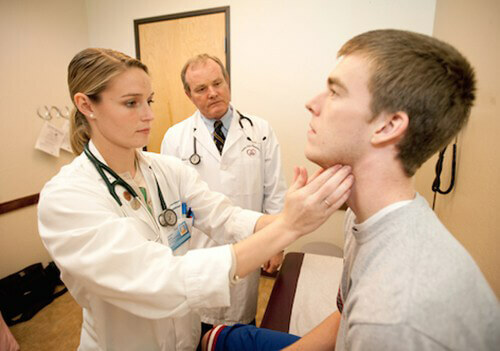 Students grow into their profession in a learner-centered environment through face-to-face instruction, didactic clinical experiences, year-long clinical procedure laboratory, year-long history and physical exam laboratory, and regular Objective Structured Clinical Examinations (OSCEs) using standardized patient actors, all before their year of supervised clinical experiences in working clinics and hospitals. Through a historic partnership with the National Association of Community Health Centers (CHCs), ATSU-ASHS is training whole-person, community centered practitioners through clinical rotation experiences at a CHC. Because at ATSU social determinants are as central as physiology to each patient’s care, PA students are immersed in service-learning as an indispensable part of their whole person healthcare education. 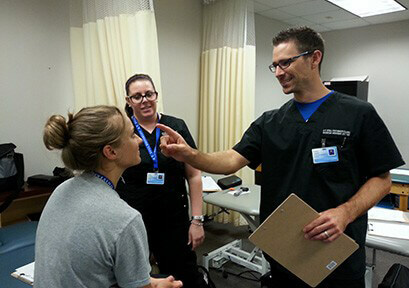 The Didactic Clinical Experience (DCE) program is unique among U.S. physician assistant programs and reinforces whole person care and ATSU’s body, mind, spirit philosophy through hands-on clinical mentorship in the first year. Clinically engaged faculty guide participation in unique office-based and community-based clinical settings including medical examiner offices, primary care practices, surgeries, a national pilot EMS/community paramedicine system, community clinics for the underinsured, medical triage for the nationally acclaimed Mission of Mercy dental event, the first ever medical university-delivered Special Olympics Healthy Athletes® program, the first on-reservation American Indian Special Olympics MEDfest® program, camp screening physicals for children with cancer and their siblings, and other community wellness clinics. The event medical services team provides supervised emergency care for events like the USA Karate Olympic Qualifier, the ATSU 5K and Special Olympics’ regional and state games. Through our partnership with the National Association of Community Health Centers and the Hometown Scholars program, our aim is to train exceptional, competent and caring physician assistants and return them to work, live, and serve their community, shifting the distribution of providers to better reflect the needs of communities. Vaping: Are Its “Benefits” a Lot of Hot Air? I Am Psyched; Are You? Mental health has been segregated from primary care for decades. But as calls for integration increase, opportunity looms for PAs and NPs.